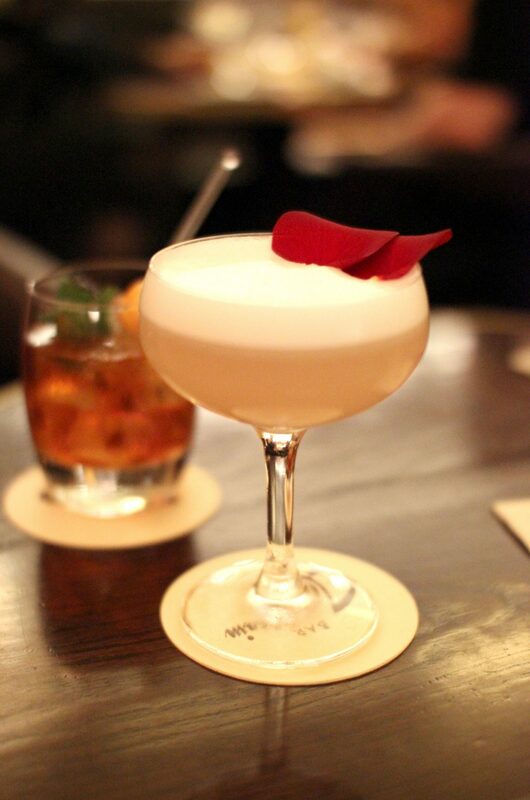 If there’s one cocktail bar I’d like to go for Valentine’s day it’ll be Bar Américain, located in Brasserie Zédel near Piccadilly Circus. 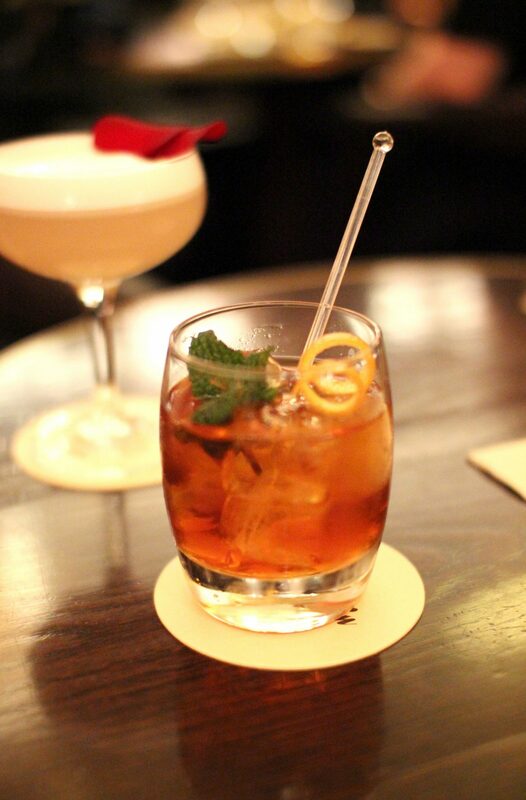 A classic American bar, serving traditional mixed drinks in the most glamorous, authentic Art Deco surroundings. I treated myself to the Honeysuckle Rose and Lady Day, where as my husband had Valentino’s Revenge – a whiskey number. The Honeysuckle Rose was lovely, made with Hendrick’s Gin, St-Germain Elderflower Liqueur, Cucumber, Lemon Juice, Rose Syrup and Egg White, with some cute rose petals on the top. 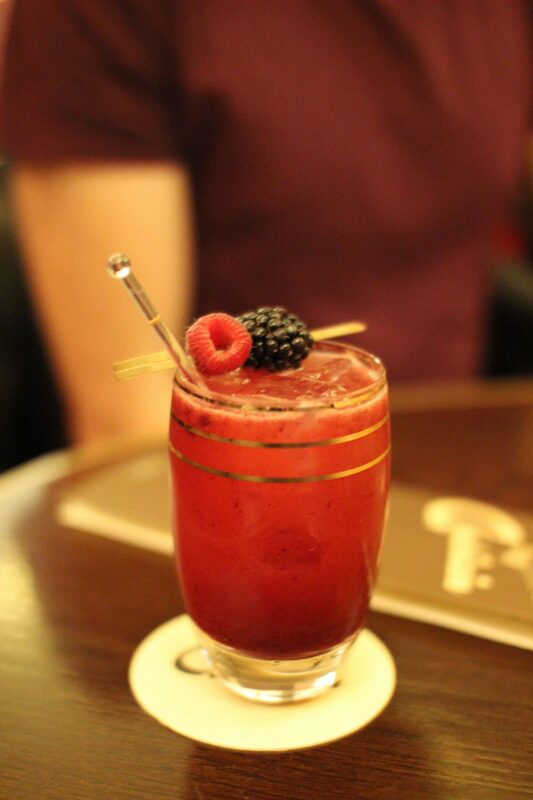 Lady Day was Bombay Sapphire Gin, Blackberry Purée, Raspberry Liqueur, Ginger Ale, Apple and Lemon Juice – so delicious.